Out of all the hardcourt studs we've spotted in the games, we bring you the 10 who wowed us most. See who made our list and learn more about them! With every UAAP season comes a sense of excitement, renewed school spirit, and a ton of smokin' hot athletes. We've been bringing you some of the cutest fans and UAAP basketball players right here on Cosmo.ph (just check out the latest in our Guyspotting section!) But among those hotties, a few stood out more than others--and we put them in this Top 10 list! Call it our last hurrah for college sports month. We scream ourselves hoarse at their games, we love following them on Facebook and Twitter, and college Cosmo chicks tune into the latest campus chatter about these beloved boys. Some of them are timeless faves who will, time and again, drive fan girls crazy. Others are rookies--and surely stars on the rise--whom we expect to see much more of in seasons to come. Either way, they've caught our attention, and they're hot, hot, HOT. Launch the gallery to find out who made it to Cosmo's top list, and learn a thing or two about these basketball hunks. Oh, and for more info and swoon-worthy photos of some of these athletes, make sure you grab a copy of the new U Magazine, in stands now! 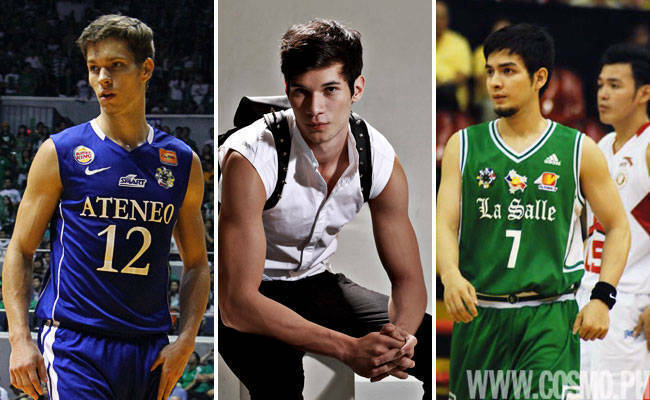 For more college sports hunks, check out the July Cosmo Online HUNKS! View his gallery most and he just might be a solo online hunk this year!